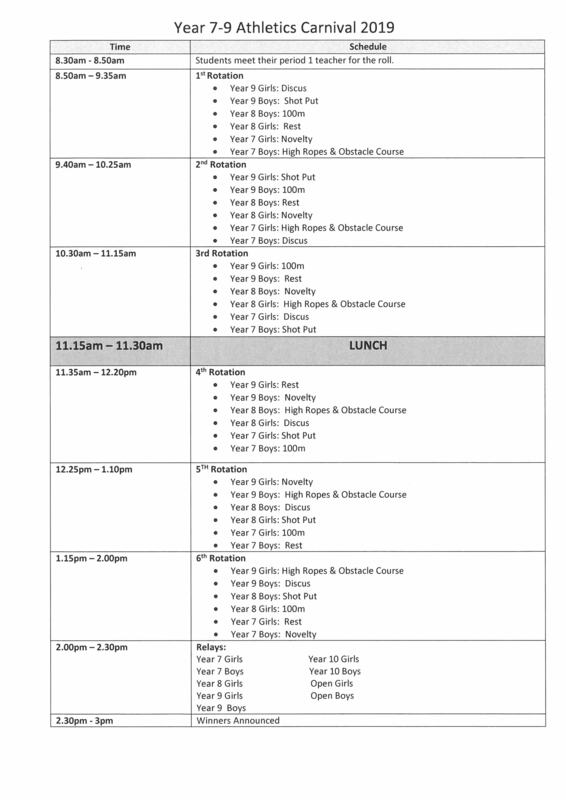 Please find the Upper and Lower School schedule of events attached to this post. 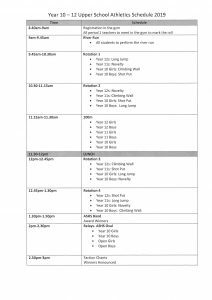 Parent parking is available at Australind Primary School, Barnes Ave entrance, from 9am to 2pm only. 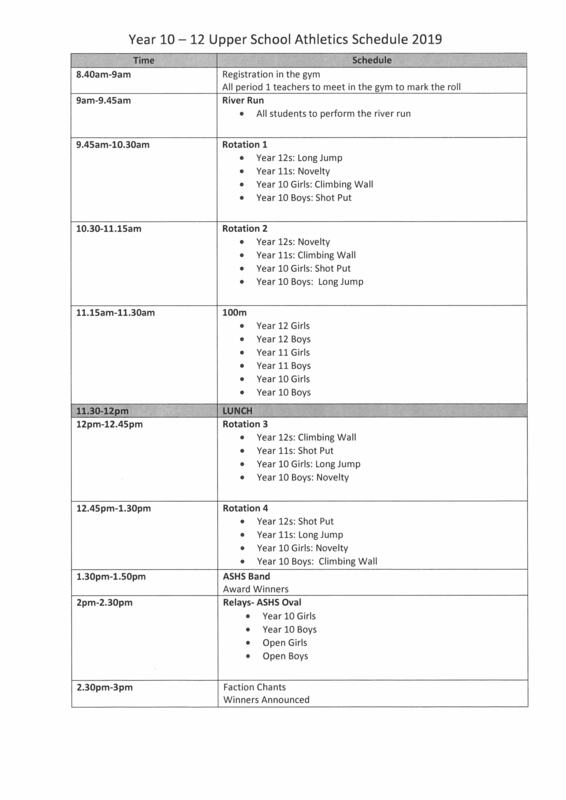 Access to the Athletics Carnival is via the Australind Primary School oval. 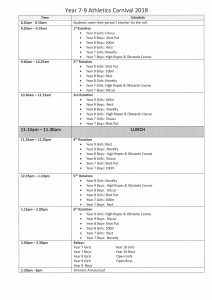 Facilities for parents – toilets, food and drink – are also available on the oval. We hope everyone enjoys a fabulous day.